The InterContinental Los Angeles Downtown at Wilshire Grand Center, at one million square feet, includes 899 guest rooms and suites, three restaurants, two ballrooms, and a gym. 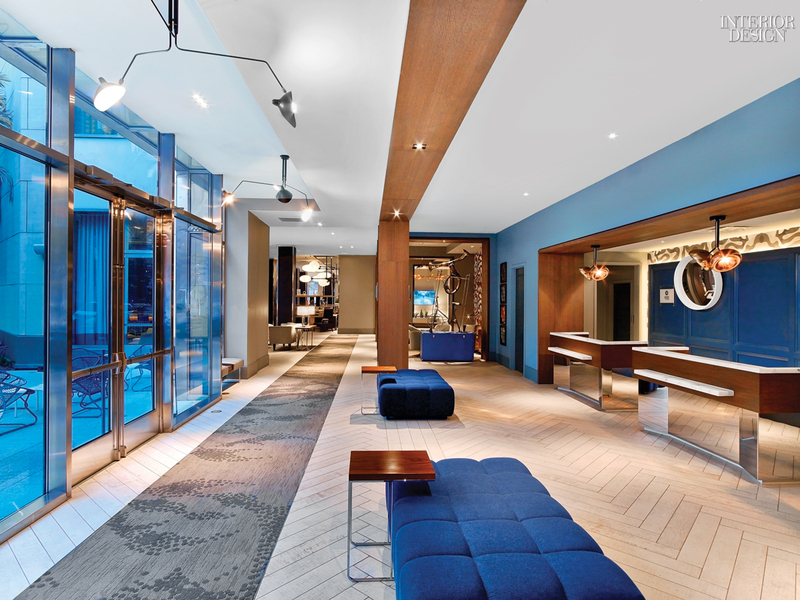 While design firm AC Martin aimed to give each space its own identity and personality, they wanted the hotel as a whole to celebrate the city of Los Angeles. 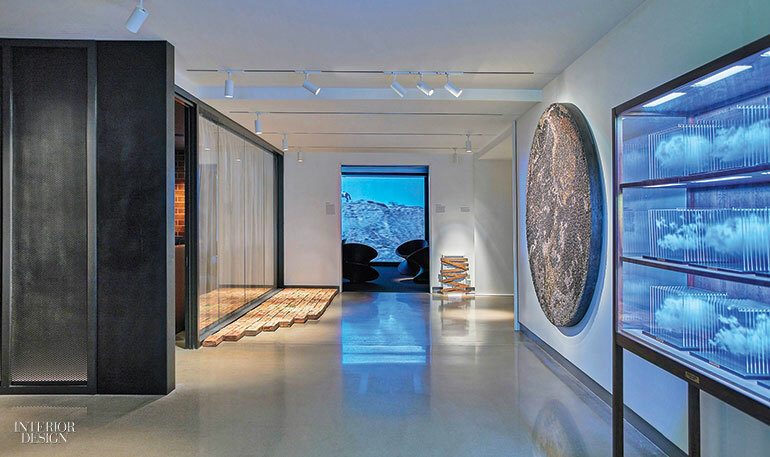 “We’re trying to dispel the myth of L.A. as a vast valley with no soul," project director for interiors Michelle Sterling says. 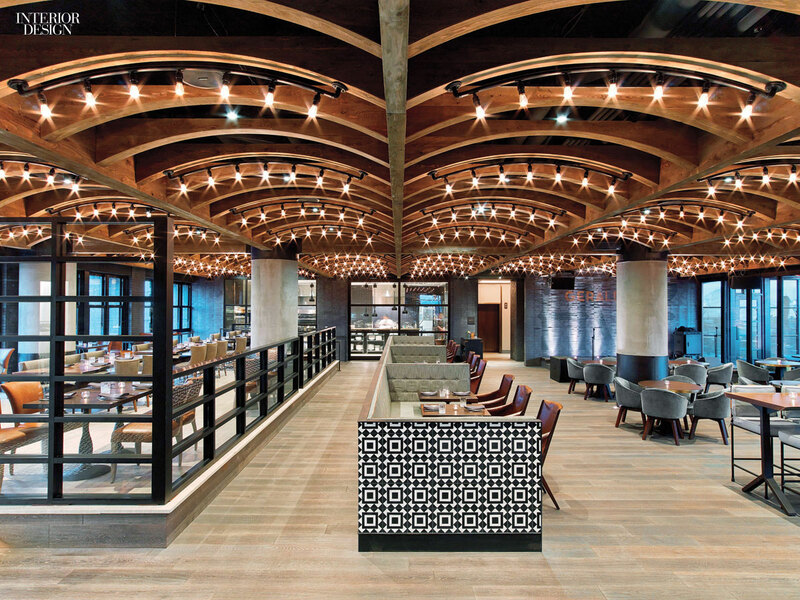 INC Architecture & Design and Marvel Architects collaborated on the artfully sustainable 1 Hotel Brooklyn Bridge Park. 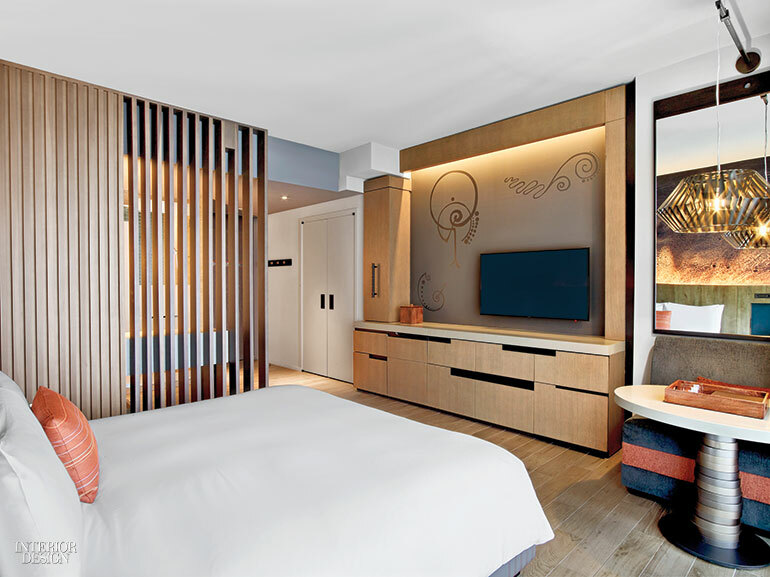 Hotels by Starwood Capital Group often capture the beauty of nature, while safeguarding the environment through basic elements like hemp-blend mattresses, organic cotton sheets, recycled wood key cards, and earth-friendly cleaning products. 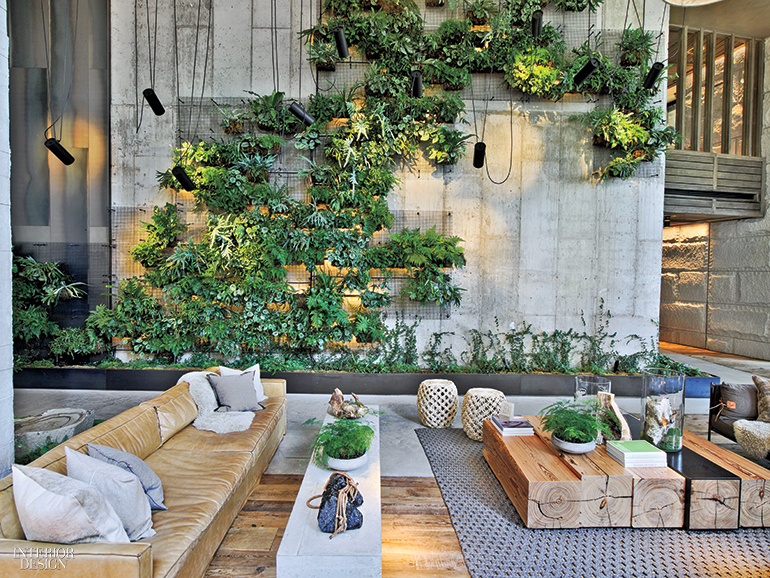 The earth-friendly theme is also made evident in wood and stone accents and green walls and potted plants. 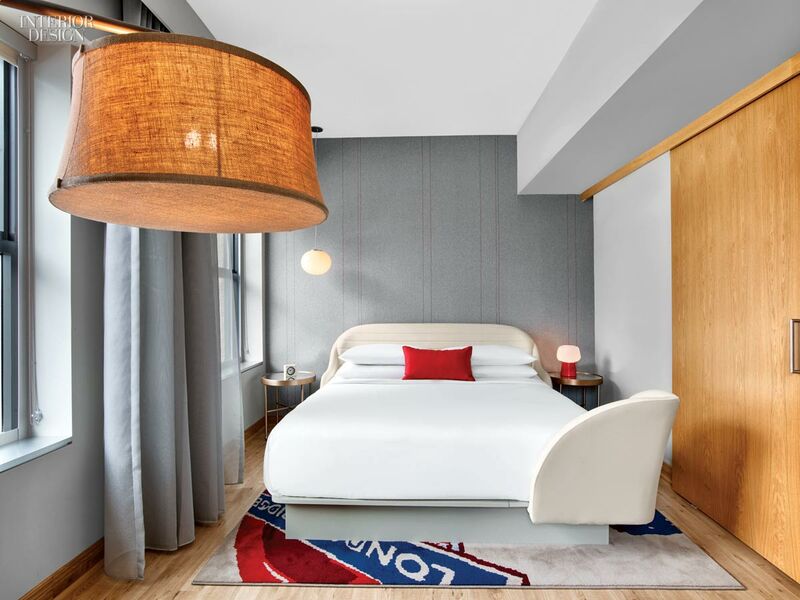 21C Museum Hotel Nashville is the latest art-centric hotel designed by Deborah Berke for the 21C Museum Hotel chain, where the 138 guest rooms and circulation spaces double as galleries. “People should see the art as a part of the hotel experience,” principal Terrence Schroeder says. 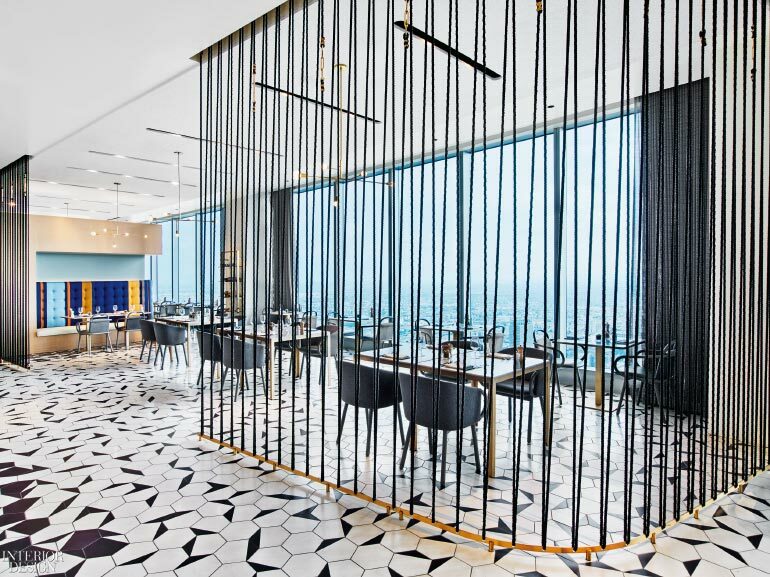 There’s an especially high concentration of paintings and sculpture in the corridor that connects the lobby and the restaurant. 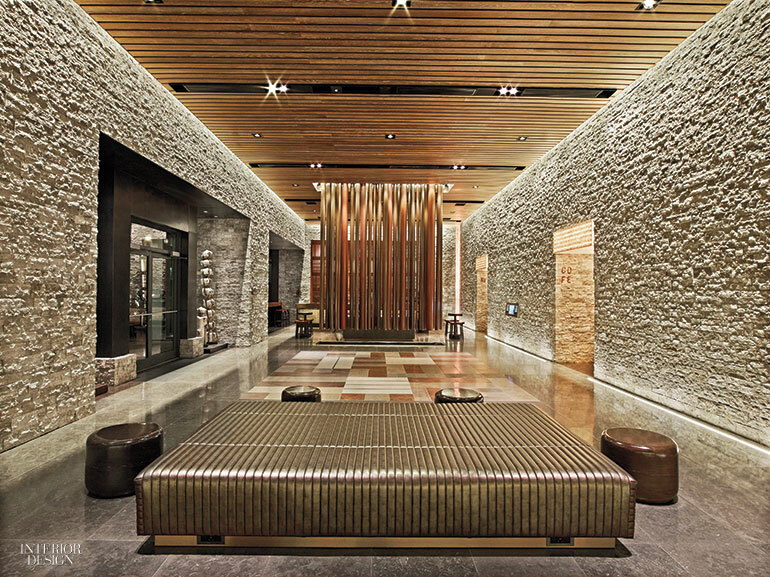 The atmosphere is serene inside Miami's East hotel, inspired by water and earth elements. Overall, the design palette is muted. “It gives you a virtual hug,” Clodagh says. 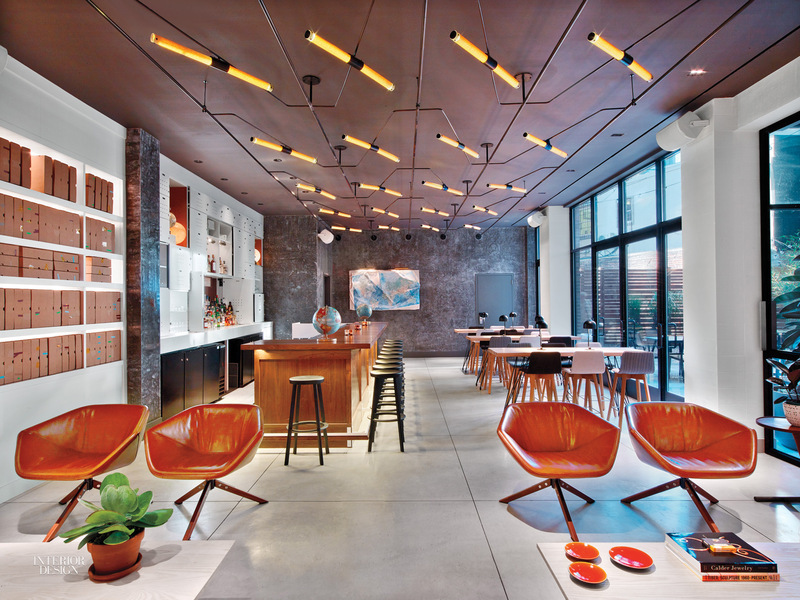 Her design firm is known for creating spaces that simultaneously soothe and energize. 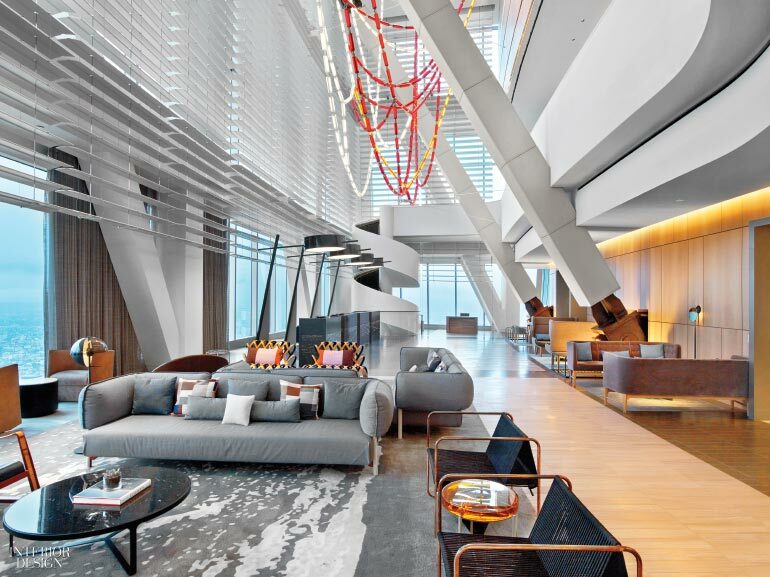 Starting with valet drop-off and extending everywhere in the 39-story hotel’s public spaces and 263 guest rooms and suites, the design is both biophilic and philanthropic. 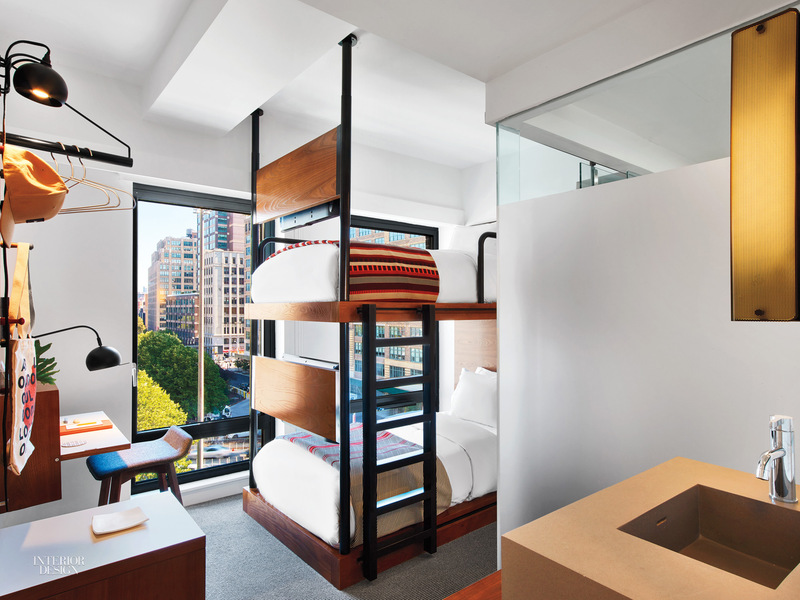 Arlo Hudson Square, a micro-hotel in Manhattan, offers value prices for tiny guest rooms. 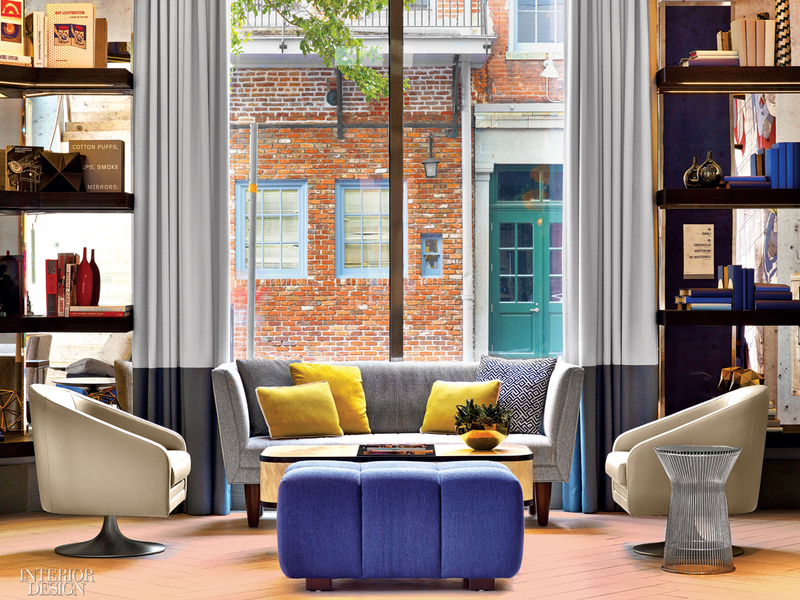 "The exchange is that there are much larger public spaces to meet the needs of guests who might otherwise have stayed up in their own rooms," Matthew Goodrich says. 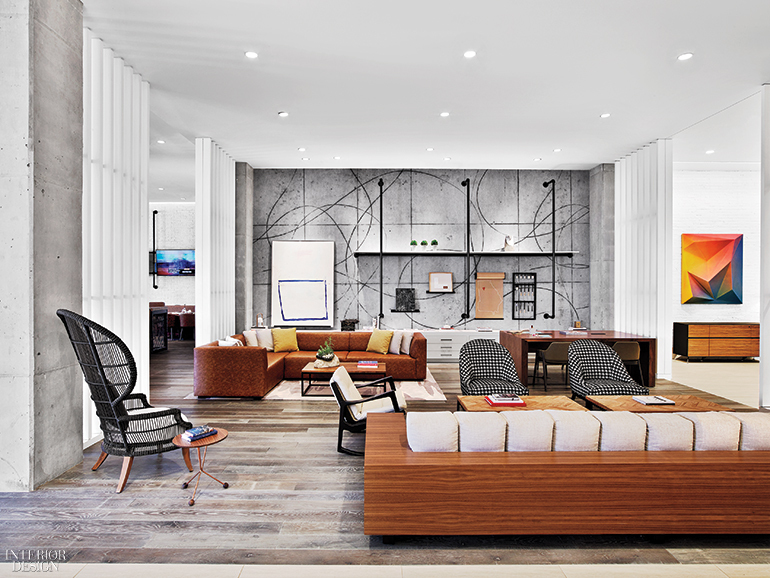 He adapted the 150-square-foot size of the 325 guest rooms so the space didn't feel as small. "If we’re going to reduce the size, we have to offer pluses,” he says. A wall-mounted desk folds out and bunk beds have flat-screen TVs installed at the footboards. “Everything does as much work as it can." 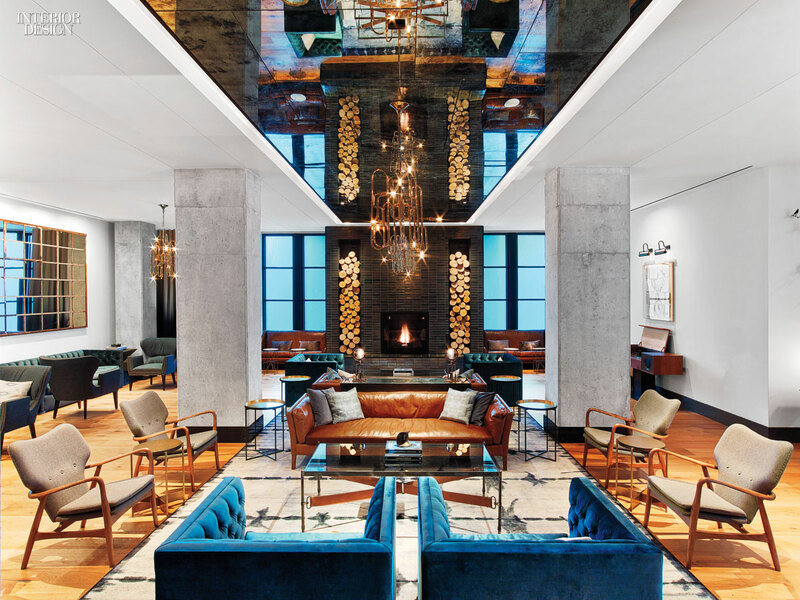 As the self-proclaimed "live music capital of the world," Austin, Texas had obvious attractions for Kimpton Hotel & Restaurant Group, a company that prides itself on letting local ethos drive a design. 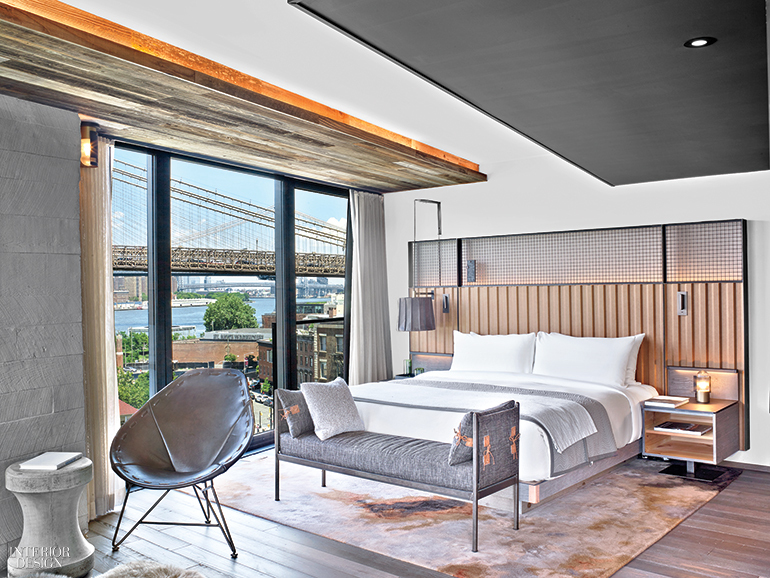 The hotel itself is named for late folk rocker Townes Van Zandt, who, along with Austin's music scene, was the inspiration for Mark Zeff's "elegant cowboy with a sense of humor" design. The lobby features an installation of exuberant birds, made from vinyl records, that flutter out of an old phonograph and the 319 guest rooms show off gig posters from the city's club scene in the '60's and '70's. 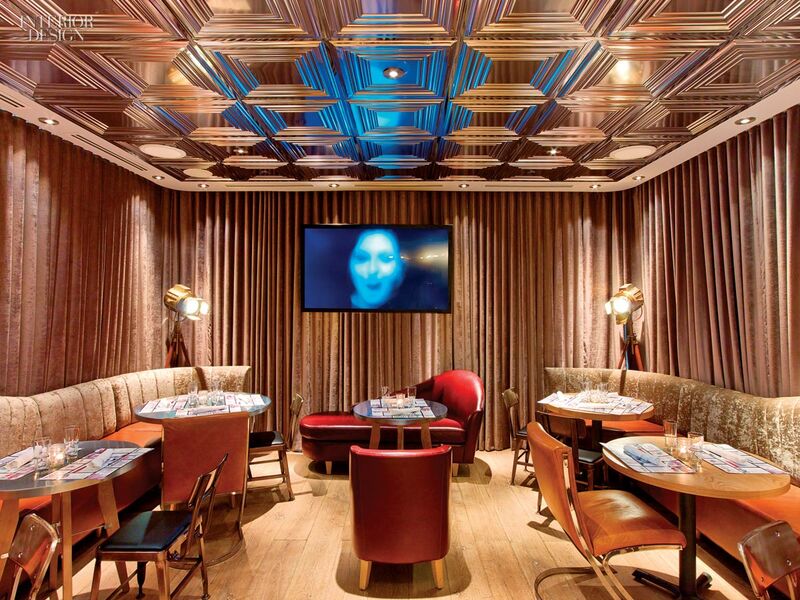 Rockwell Group Europe aimed to preserve the history of the Chicago location for the first Virgin Hotels site. “The result had to be this masterpiece envisaged by [CEO Raul] Leal but at the same time preserve Chicago’s glorious past,” David Rockwell explains. 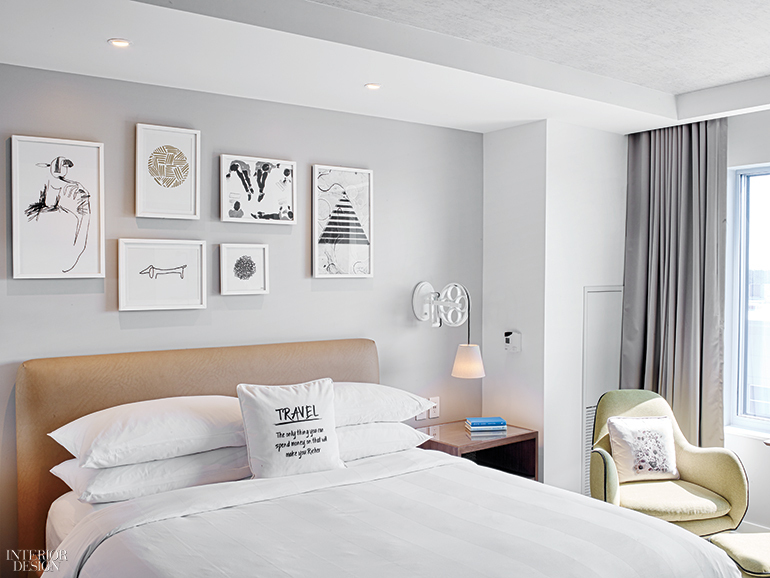 The flagship hotel's 250 guest rooms are awash in originality with an on-brand Virgin-red door, a porcelain dog for pet-friendly rooms, a makeup station and creative ways to lounge to create a calming atmosphere, in contrast with the rock-and-roll vibe of the penthouse suites and the art deco feel of the lobby. It's pure Chicago through a Virgin lens.